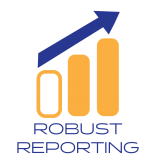 ToxFusion is capable of generating custom created reports highlighting the information most important to your lab. Our custom software development team creates robust reporting tools based on the needs of each lab. Built in to the system is a powerful dashboard, quickly notifying toxicology labs and their client sites which results are still outstanding and how many days have passed since the order was first entered. Order entries and results are intuitively organized by patient and are stored in the cloud for quick accessibility.